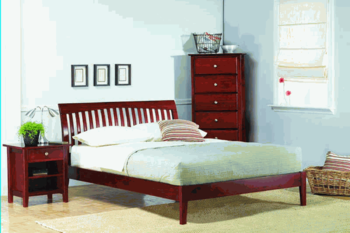 Modus Furniture Modus Bed available through Z Modern Furniture Store In Alexandria Virginia. White Glove delivery available in Northern Virginia, Washington DC & Maryland. 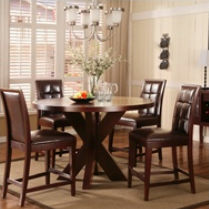 Shop Modus Furniture on our web site or Visit our Virginia (VA) or Washington DC Furniture Showrooms. Modus Furniture carefully selects all the material used in each product, ensuring consistency, quality and a premium finish. A comprehensive Quality Assurance program is in place at the factory whose primary objective is to make certain that their products meet all the high standards set for their furniture. Their beds are constructed of 100% kiln dried hardwood. This ensures strength and longevity. The tropical hardwoods used in the beds are indigenous to Indonesia. Tropical mahogany has a tight grain and is similar to American Cherry, varying in reds and browns in its natural state and is used in the majority of their products. Mindi is similar to American Oak and is used in the Santa Barbara and Nevis Collections. Please shop online or visit our Alexandria, Virginia & Washington DC Dupont Circle Furniture Showroom.